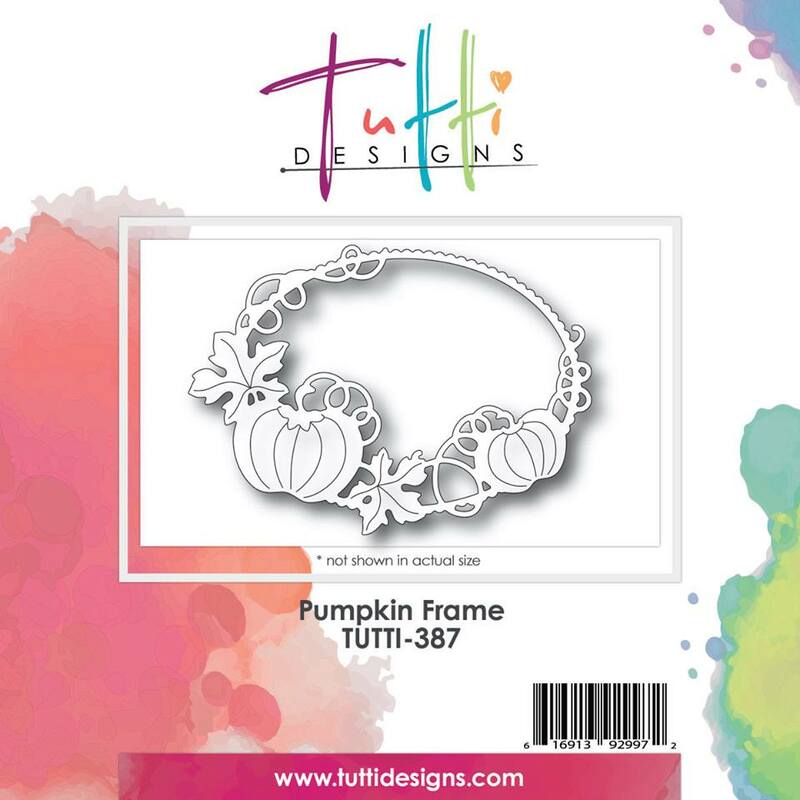 Today's card will be showcasing one of the new August Release dies, # 387 Pumpkin Frame. Added a Fall stamped image and sentiment and adhered it to my card panel. Sheer Ribbon and Randomly tossed Sequins (wink, wink) and my Autumn Blessings card was complete. Beautiful and elegant, Donna! 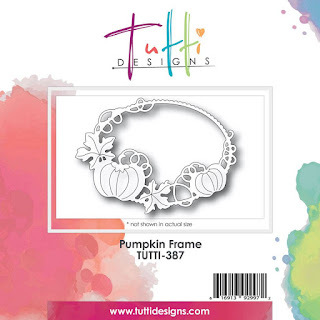 The pop of color on the pumpkin frame is great. I love that die cut! This is so FALLicious Donna! Fabulous design and great use of this die! Thanks for another inspirational masterpiece!